Kyle Christian D. Manejero is a student of Political Science and Public Administration in the Faculty of Economics and Administrative Science at Pamukkale University. He was granted a full scholarship to study here in Turkey under Yurt Dışı Türkler ve Akraba Topluluklar Başkanlığı – Türkiye Bursları. He finished his high school at Iloilo National High School last 2014. He was a scout for almost 8 years and earned the rank of Eagle Scout. He had been a 4th Year Council Representative of the Iloilo National High School Supreme Student Government, a 2nd platoon leader of the INHS CAT and got trained by the INHS Junior Paramedics for the basic first aid course. 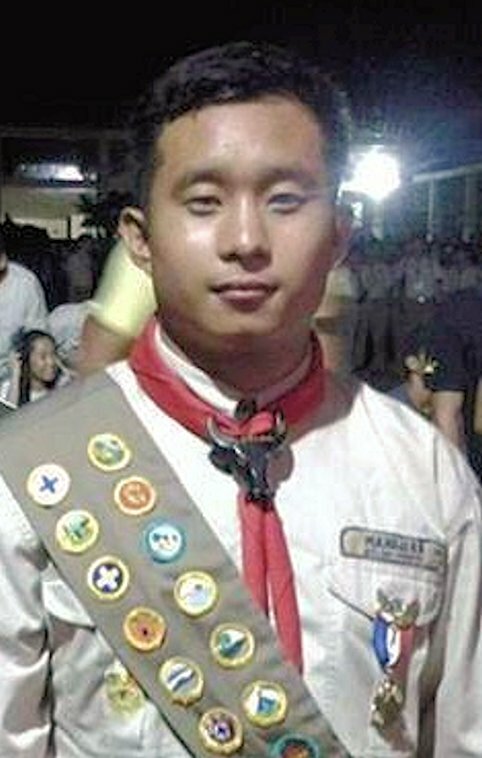 He had also participated in various scouting and leadership activities namely the Asia Pacific Scout Jamboree in Laguna, the 2nd One Visayas Jamboree in Bacolod City, the 6th National Venture Camp in Pangasinan and leadership seminars for youth leaders in Iloilo. He had been a delegate to PANGEA Starting Point 2015, a global youth conference in Madrid, Spain representing the Philippines and Turkey. His areas of interest are international relations, politics, law, history, languages and volunteering. He dreams to become a Foreign Service Officer someday.